The Africa Trade & Investment Global Summit (ATIGS) is a unique high-level conference and exhibition, prestigious, biennial business platform designed specifically to promote and facilitate international trade between Americas, Asia, EU, UAE, with Africa, facilitate foreign direct investment in Africa and provide a platform for businesses to expand into new markets, with attendance projection of over 2,000 participants which include high-level government delegations, global investors, project developers, business leaders, medias, trade promotional organizations, and investment promotion agencies from more than 70 countries for a three day of networking, markets knowledge sharing, B2B, G2B, G2G meetings & deal making, marketing and matchmaking. The 2018 ATIGS edition is scheduled to be held on June 24 to 26, 2018 in Washington, D.C. under the theme "Driving Trade, Unleashing Investment and Enhancing Economic Development", and "The Gateway to African Markets" as sub-theme. ATIGS provides access to African markets at a one-stop shop, and connect global Investors to Africa market. It is an Africa-global business event covering 16 economic sectors particularly manufacturing, agribusiness, power, construction, transportation, IT, tourism, telecoms, finance, retail, health, and natural resources sectors, and will see a participation of over 150 speakers, over 160 exhibitors, and over 350 global investors. Featured agenda items will include bankable projects showcase, deal marketplace, exhibition & international pavilions, dedicated networking sessions, country & sector presentations, roundtables, investors' zone, ministerial roundtable, trade experts zone, red carpet treatment, awards ceremony, and among others. The International Pavilions and Country Pavilions ATIGS 2018, will be a special dedicated marketplace showcasing companies, trade promotional organizations (TPOs), investment promotion agencies (IPAs), economic development organization (EDO's), and international development organizations (IDOs), representing from Africa, Middle East, USA, Asia, and Europe. ATIGS 2018 will consists of 13 specific events including bilateral events, US-Africa Manufacturing Forum, UAE-Africa Business Forum, Africa-China Economic Forum, EU-Africa International Business Congress, and more. ATIGS is strategically positioned in 2018 between the 27th World Gas Conference - world's largest global natural gas event with over 12,000 delegates, and the 2018 SelectUSA Investment Summit - highest FDI profile event in US with over 1,200 global business investors, given more opportunity for your organization to be in Washington, D.C that week in June 2018. The organizers – led by GAA Exhibitions & Conferences, Trustrade Consulting Group, Uniek Equity & Trust Limited, World Trade Center Antananarivo, First African Investment Holding, iKapaMedia, and Opportunities in Africa, have noted that bankable projects in Africa will be presented to international investors and deal making will top the agenda. The event is organized in partnership with Oxford Business Group - Official Research Partner, APO Group - Official Newswire Partner, Asoko Insight - Market Intelligent Partner, Air France - Official Airline Carrier, 60+ media houses globally, 58+ official country representatives in 46 countries, advisory board members, steering committee members, supporting engagement with national governments & development institutions, and sponsoring & strategic partners. For Registration follow this link https://atigs2018.eventbrite.com/?aff=Enos .There is a comprehensive website www.atigs2018.com which contains everything to know about ATIGS 2018 and registration can be done directlyon the website. Remember to mention Enos Denhere As Referal . 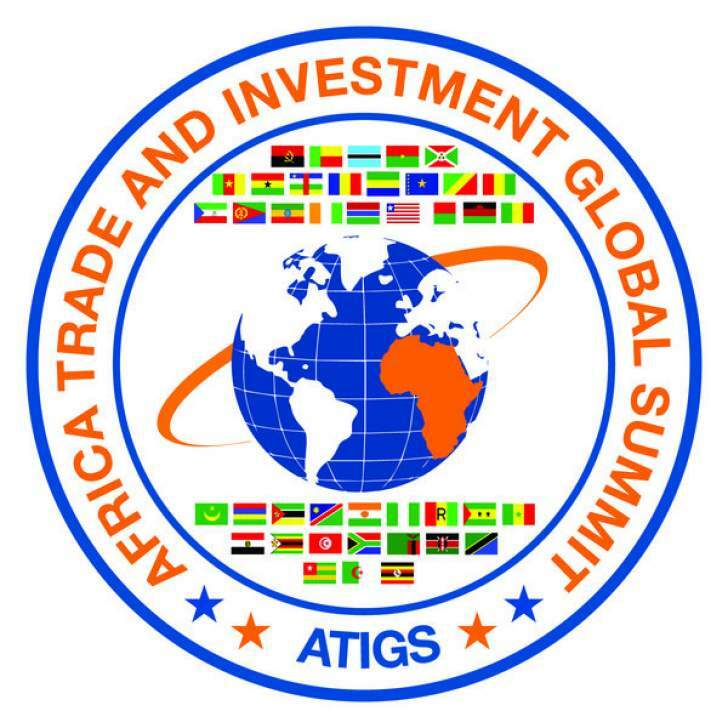 Designed to promote and facilitate international trade between Americas, Asia, Europe, United Arab Emirates and Africa, ATIGS is a prestigious biennial conference and exhibition to be held on June 24-26, 2018 in Washington, DC, USA under the theme "Driving Trade, Unleashing Investment and Enhancing Economic Development". The 2018 ATIGS edition will gather 2000-plus key economic players from more than 70 countries including government delegations, high-profile African leaders, project developers and international investors to explore business opportunities.